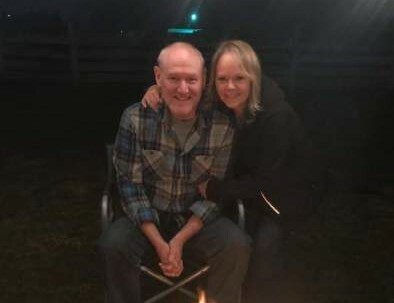 Craig Hunsaker, 61, died peacefully at home on April 3, 2019 after fighting cancer for over 2 years. Craig was born on February 20, 1958 in Boise, Idaho. He grew up in Boise attending Jefferson Elementary, South Jr. High and graduating from Borah High School in 1976. Craig married his sweetheart, Carol Farnlund on February 5, 1983. They were married 36 years and together were blessed with 3 children, Brandon, Shelby and Tyler. Craig and Carol enjoyed camping with their children and sharing the love they had for the outdoors. As a family, they spent summer vacations fishing, canoeing, hiking and riding trailbikes. Craig and his boys enjoyed many hunting trips for birds, deer and elk. Craig worked most of his life in the lumber industry. He was employed as a warehouseman for Lumber Products/Rugby Architectural Building Products for over 30 years. Craig was very organized and was said to keep the cleanest warehouse in the entire company. He built great friendships with co-workers and customers over the many years. Craig is survived by his wife Carol, 3 children; Brandon Hunsaker, Shelby Hunsaker and Tyler Hunsaker, 2 brothers; Gordon (Sheri) Hunsaker and Curtis (Jackie) Hunsaker and many nieces and nephews. He is preceded in death by his parents; Arvon and Nadine (Swogger) Hunsaker. Craig had a wonderful sense of humor and was always quick with a joke or a funny comeback. He will be greatly missed by all of his family and friends. Services will be held on Tuesday, April 9th, 11:00 am at True Hope First Baptist Church, 607 N 13th Street, Boise.